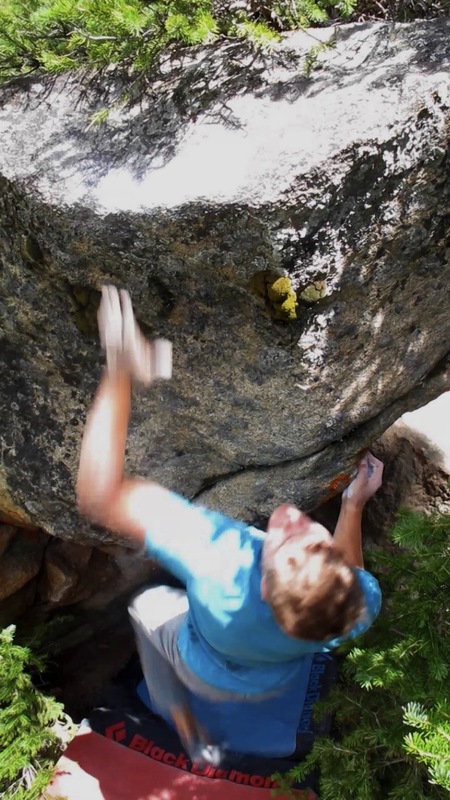 Dave Clark-Barol on an awesome V2 at the Tunnel Boulders not far from Leadville. Back in 2007, I lived in Leadville, Colorado for a year, teaching at a small independent school. Despite Leadville and surround Lake County being one of the most impoverished areas in the West and continuing to be plagued with dysfunctional contentions between interests of resource extraction, new-wave environmentalism, and tourism, there are a lot of things I loved about the area. The quaint town, endless mountains to explore, and diversely rooted community make Lake County an intriguing place. There’s also great mountain biking, trail running, and skiing. What it did not have, however, was quality rock climbing. For having so much damn rock, the climbing opportunity was, upon scrambling to the base of another distant cliff, disappointing. No, that’s not the right word. It totally sucked. 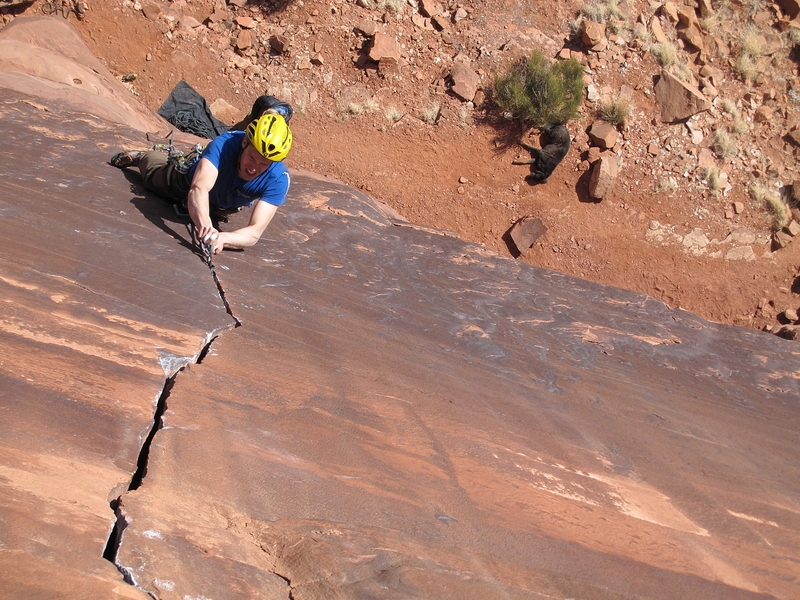 The developed areas were small, scruffy cliffs with short routes on fractured rock that rarely got harder than 5.11. There were a few quality boulders, but those too were limited. I didn’t leave Leadville because of how bad the climbing was, but I’m not ashamed to admit that it made the departure easier. When I returned to work in Leadville for this past summer, it was different. 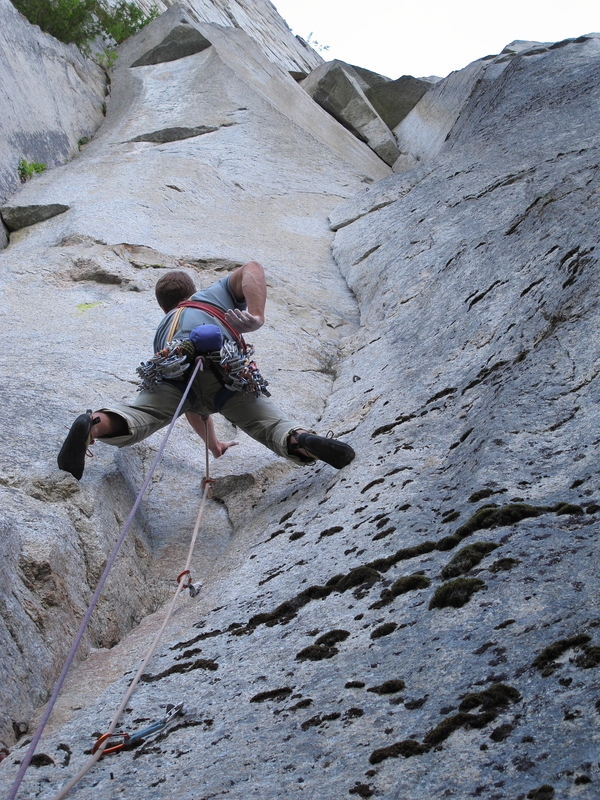 My friend Justin has put a lot of effort into exploring and developing much of the rock in the alpine of Lake County. He has run all over the mountains looking for good stone. He’s drilled bolts, vigorously cleaned, and even bought an ATV to sift out the diamonds in the rough of the Sawatch Mountains. And so, I began this summer with new opportunities and a new set of eyes of the possibilities for climbing around Leadville. There were two main areas on which we focused our attention this summer. 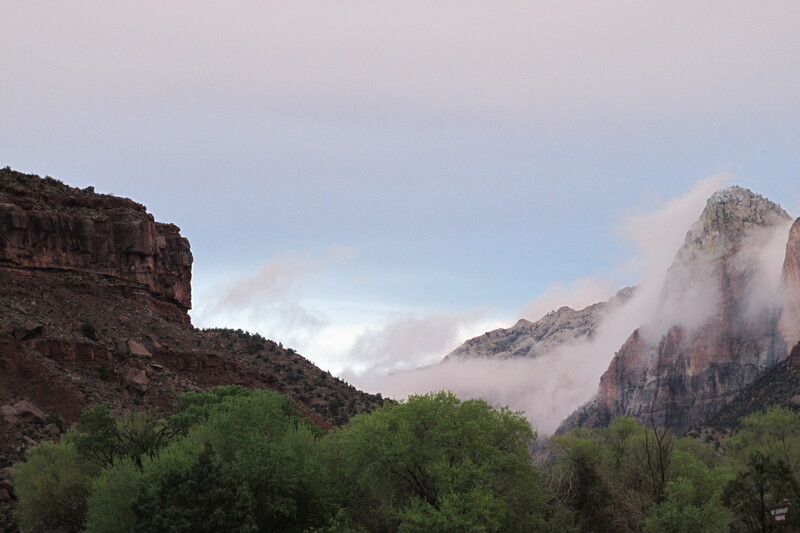 The first was a crag on the flanks of Mt. Sherman in Empire Gulch known as Finback Crag. 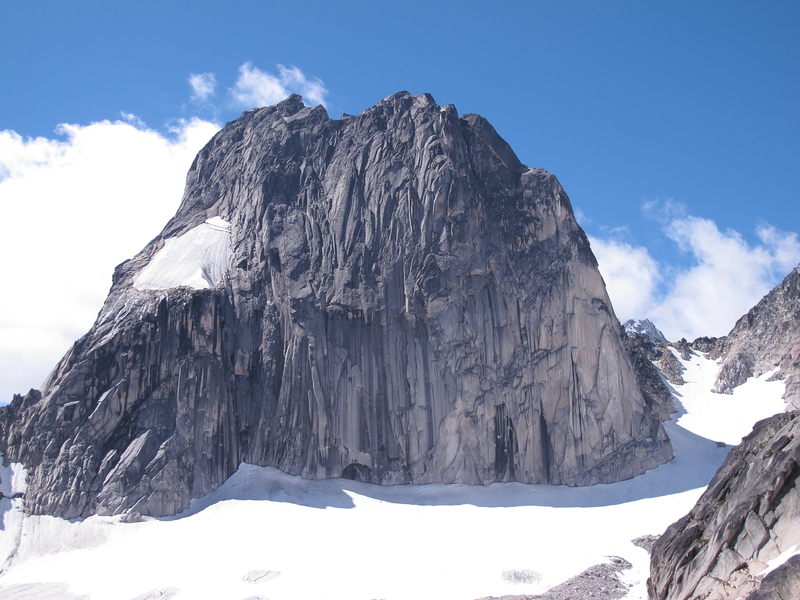 North facing, perched at over 12,000 feet with four different ridges of featured granite up to 400 feet tall, the Finbacks have the potential to be a major mid-summer destination. I’d compare it to something like the Ship’s Prow near Chasm Lake, only with significantly more rock. The second area is on the east side of Hagerman Pass: several clusters of glacial erratics all within a mile radius of the infamous Douglas City. 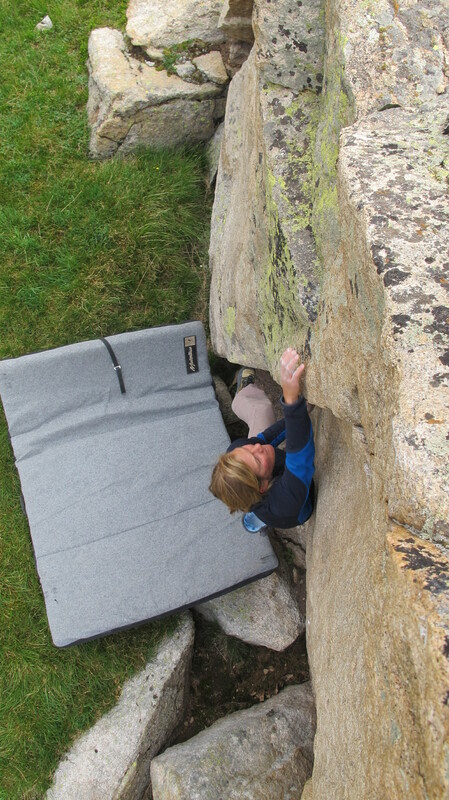 While there are several walls in this area, some over 300 feet tall with some development on them, we focused our attention on the boulders, many huge, with elegant features, and mostly horrific landings. I first visited Finback in 2009, when we established Indian Jonesin’ (5.12-). 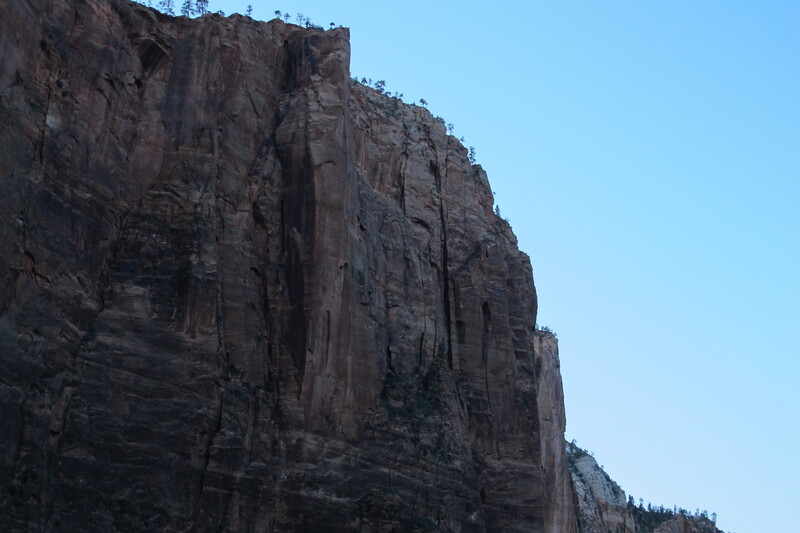 This single pitch, protected by gear and two bolts, overhangs 20 feet in its 60 feet of climbing. 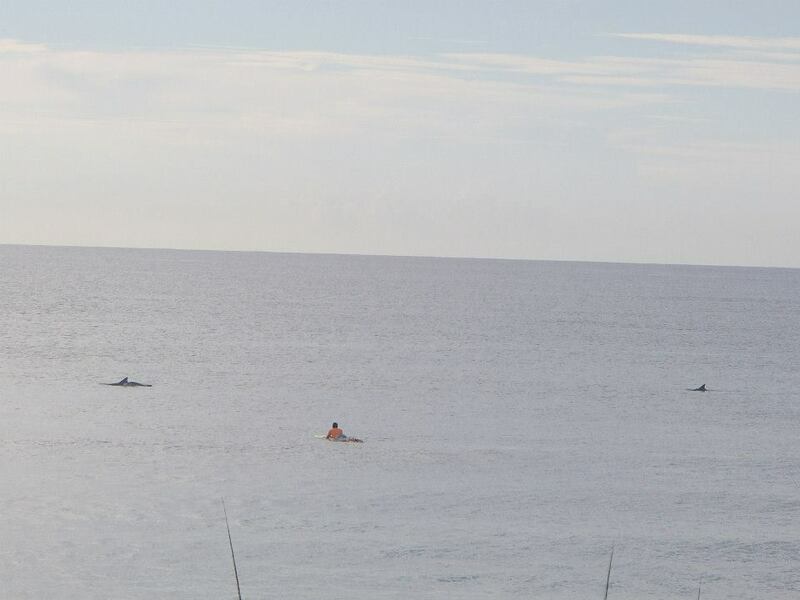 On being on the smallest, easiest to access of the fins, it was only the tip of the iceberg. 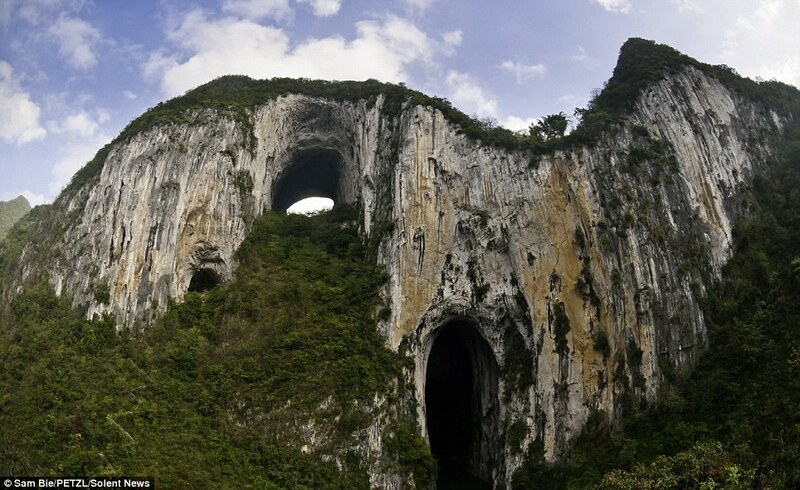 The current king ling of the area is a direct pitch up the Emperor Face. 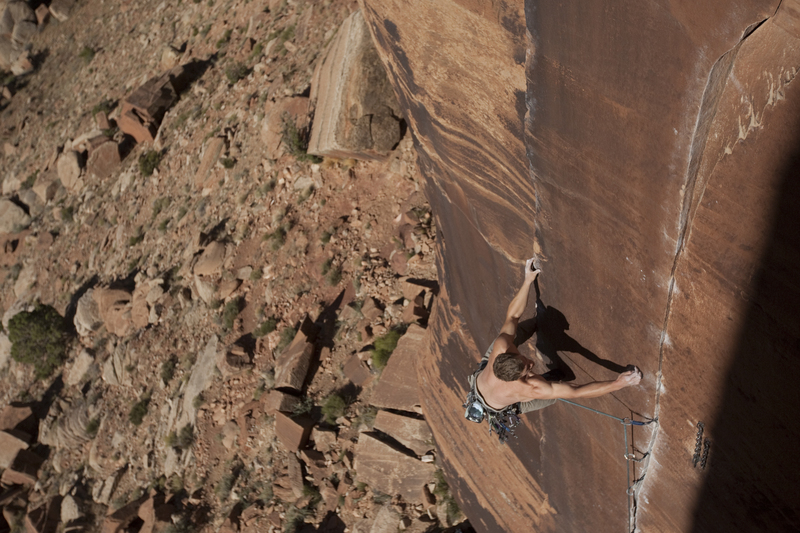 From a belay about 100 feet off the ground, the Emperor Project laybacks around a roof and moves left across strange sidepulls to a strenuous rest. From there, it has two back-to-back cruxes, each frustrating in their unique way and probably being V4/5 on their own, followed by another V3ish crux that is sloping and highly insecure. The line then ascends a faint, flared crack feature, that – annoyingly – never really offers good jams or even stances. The rest of the moves are never harder than 5.12-, but none are much easier either. While the pitch is almost fully bolted, being off the ground on a big alpine face deep in the mountains, it doesn’t feel like sport climbing. 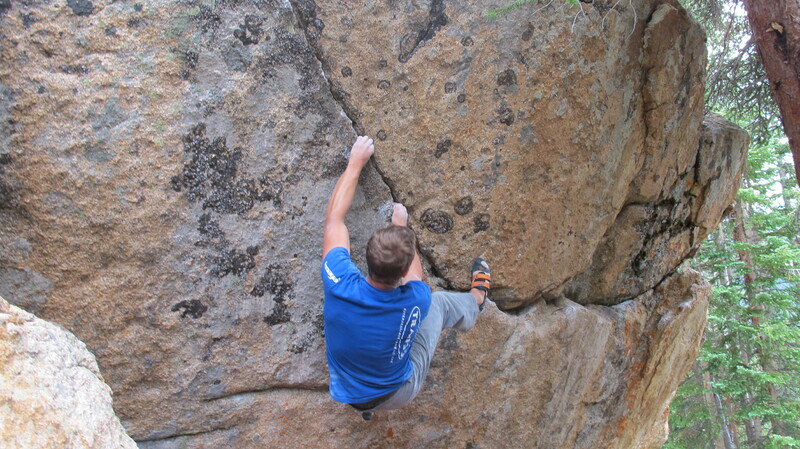 On my second attempt on the pitch, I managed to stick both the cruxes. From exerting so much tension at 12,500 feet, my body was red-lined. I couldn’t hear anything but my heartbeat echoing in my head. 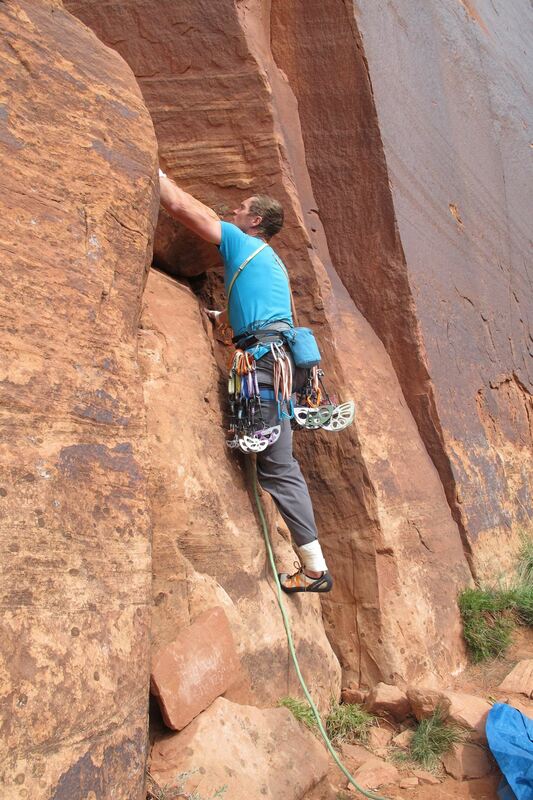 I transitioned around the flare, reached left to the first slopey crimp of the third crux, bumped to the next. I threw with everything I had into the small sidepull slot in the crack, but I had nothing left. I found myself hanging on the end of the rope, thirty feet down, on the verge of puking. I hung there for a good ten minutes trying to control the heaves. And that was my last try on that one. I could barely hang off the tiny pods in this seam. It’s a long traverse, starting with fun 5.11 jugs, to the seam, which is probably at least V11. 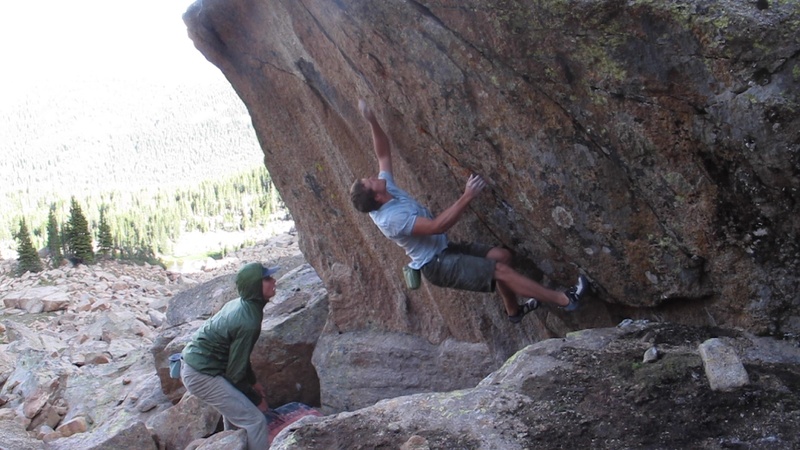 Alpine bouldering is all the rage now in Colorado. Maybe someday the clusters of alpine blocs on the east side of Hagerman Pass will be on the tour, but I kind of doubt it. Let me be clear, the quality is outstanding; it’s just that Leadville has a way of never being on people’s way to anywhere. The trailhead is just far enough away from town (about a 30-minute drive), and the approaches are just long enough, maybe between one and three miles and gaining usually around 1000-1500 feet of elevation, that I think we’ll get to climb in these pristine areas in solitude for several seasons to come. 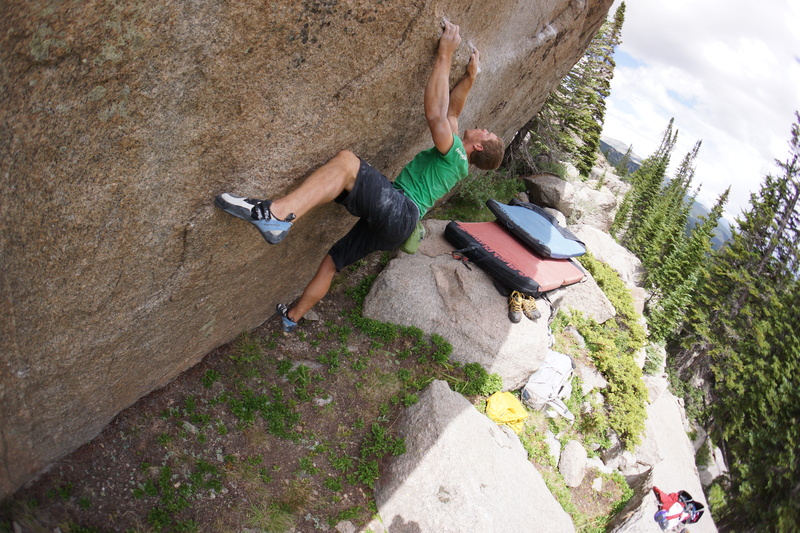 The first documented bouldering was by Nathaniel. That’s all I know about him, as the lower cluster of boulders are known as Nathaniel’s Boulders. 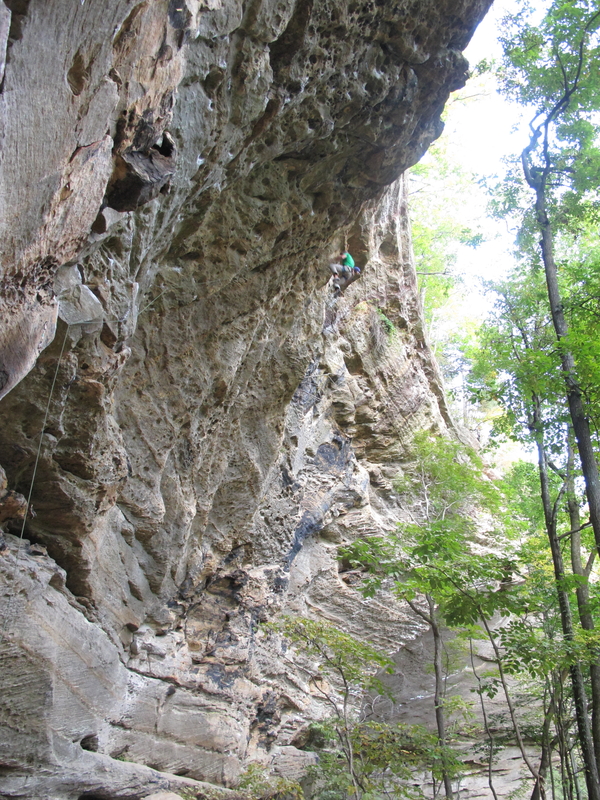 In the 90s, he established many of the obvious lines along the old railway trestle to the southwest of Douglas City, including a razor cut arête with barely enough holds to be around V8. I became obsessed with another line, an even steeper arête, that involved very stretched out heel-hooking and powerful compression and that probably hadn’t been climbed. After falling on the last move about a billion times (and as this area is lower in elevation, hotter, and with more mosquitoes), I gave up on the project. This proud arête with probably be around V10 when completed. One of the best V1 problems I’ve every done. 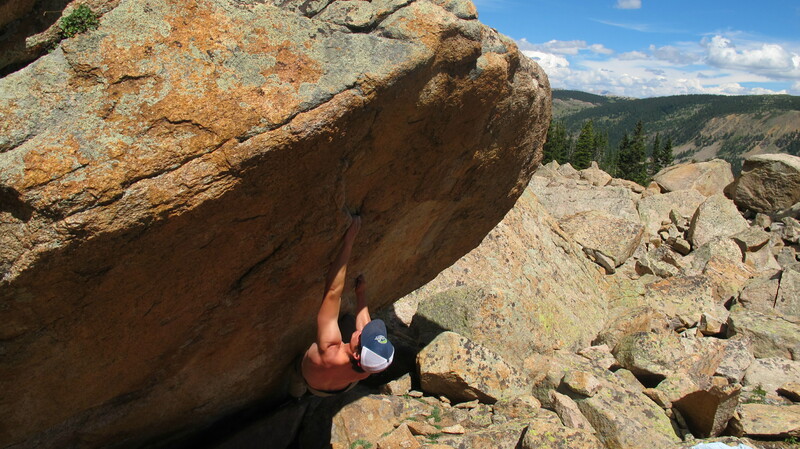 One of the warm-ups in Nathaniel’s Boulders. Throughout my obsession with that project, Justin kept needling me about the Busk Creek Boulders. While not as extensive as some of the other zones, these boulders are huge. The problems climb more like routes. The highlight from this area is the Ninja Kick Traverse. Over 30 feet long (mostly traversing) and featuring a six-foot sideways dyno crux, this is surely one of the cooler problems around. About to do the dyno of the first ascent of the Ninja Kick Traverse. Toward the end of the summer, we wandered around the large talus fields near the Hagerman Tunnel only to discover a plethora of brilliants blocs, several resting nicely over a grassy meadow. With an assorted cast of Leadville climber characters, we cherry-picked the lines. From V0 to double-digit projects, we established upwards of 20 new lines, all downright awesome. And again, this is the tip of the iceberg. There are dozens of new lines still waiting, although many of these are situated in a very large talus field and will require pretty involving bouldering tactics (read: lots of pads) to complete. Becca topping out a mega-classic V0. I was lucky enough to send two lines that were particularly satisfying. Innocent Pleasures is a rad finger crack, maybe natural or maybe caused by the blast for the tunnel. Either way, at 30 degrees overhanging, it starts as tips and slowly widens over 15 feet to thin hands. Each move is precise and dynamic. Basically, it’s the Cobra Crack Simulator. Above the tunnel on a boulder named The Brothel, I completed a line I called Too Jaded for Leadville. 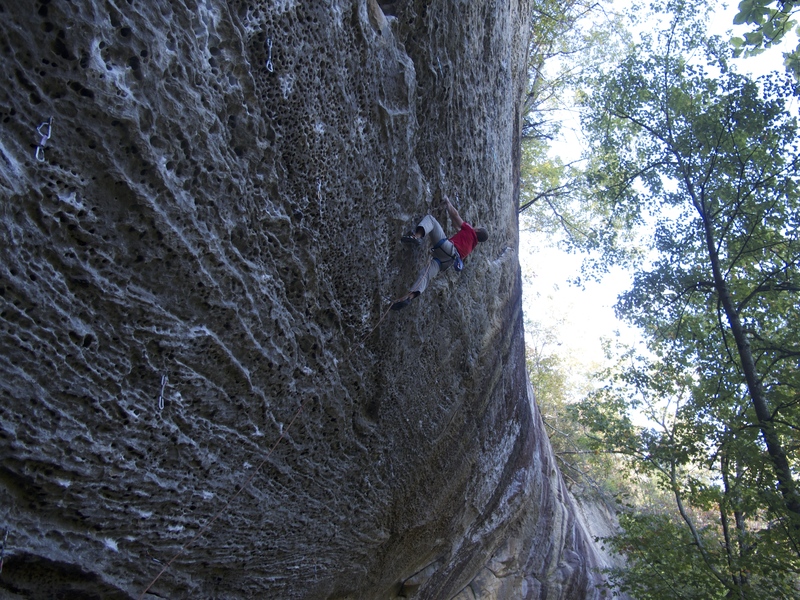 It follows a thin seam with big moves on decent holds to a dynamic move to the lip. The landing, despite our best efforts to improve it, is horrible, making the problem even more thrilling. 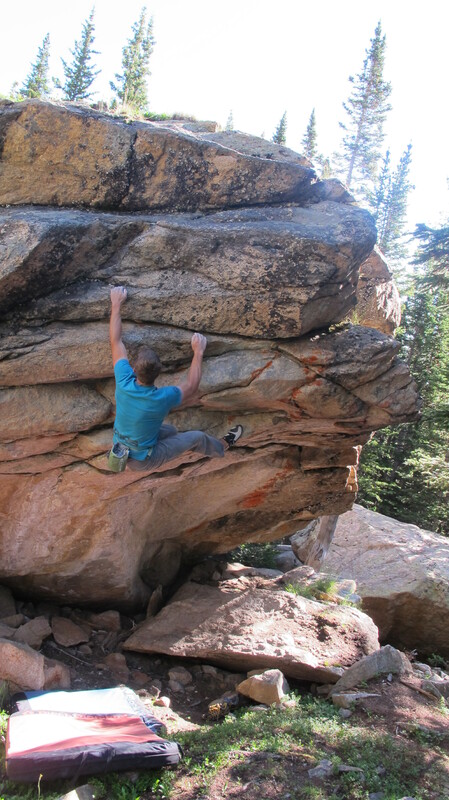 One the summer’s gifts: the first ascent of Too Jaded for Leadville. For area beta, please see Justin’s website: 40 Minutes from Leadville.